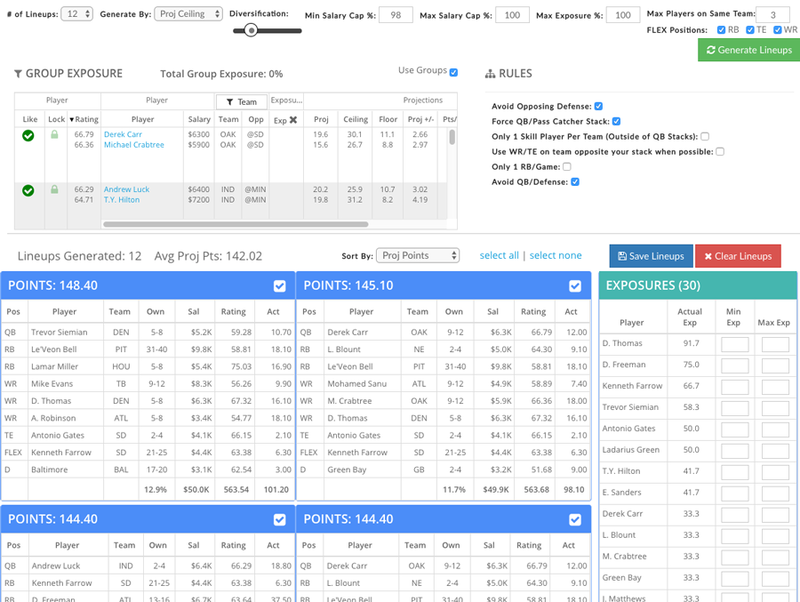 Create groups of players, set their exposure for building up to hundreds of lineups, sort lineups by projected ownership, and much more. Instantly query a database which includes player statistics, pricing and ownership history, and other proprietary metrics to quickly identify value and performance indicators. 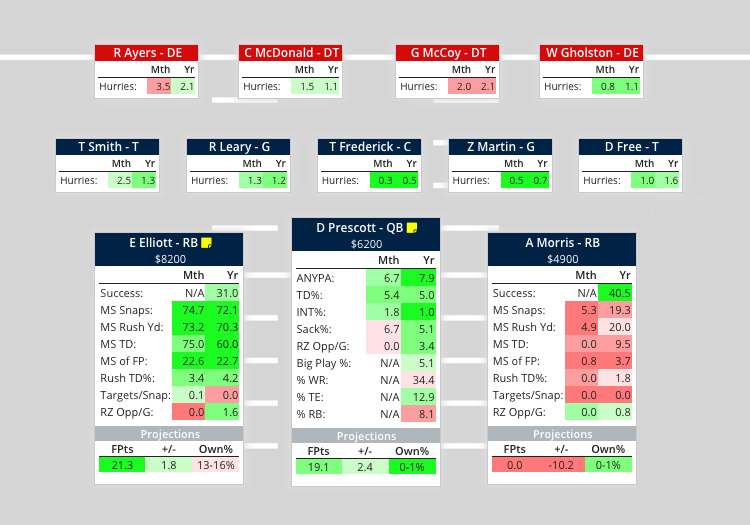 Everything from Vegas lines, weather, injuries, starting lineups, and other inputs that impact player value are updated in real-time as new information becomes available. 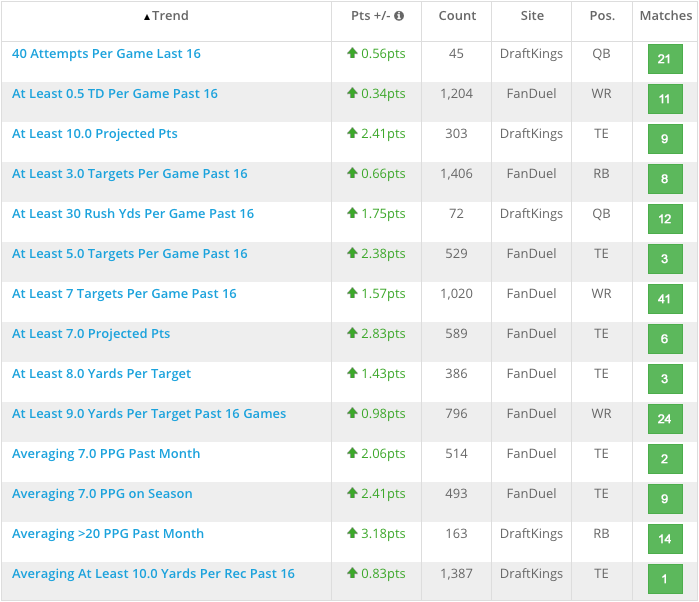 Build smarter fantasy football lineups. Start your trial today.